Many of these items are handmade and new. Often we have antique and vintage pieces to offer. Please check back often as the older pieces can go quickly and we don't know when or, if... we will get more. Handmade pieces for replacing an older embellishment can often work. 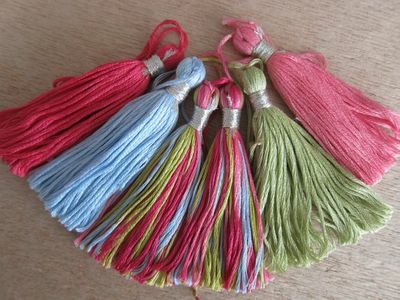 Handmade embellishments are also wonderful for using in your projects, for creating new treasures.